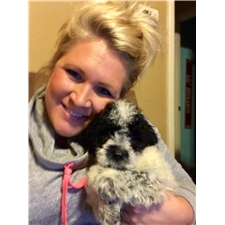 This Portuguese Water Dog nicknamed Pier 7 Candy sold and went to a new family. Candy is one of our sweet wavy black females her coat is so shiny, soft, and wonderful for cuddling. She was born on 12/27/2017 and will be ready for her new forever home on 02/27/2018. 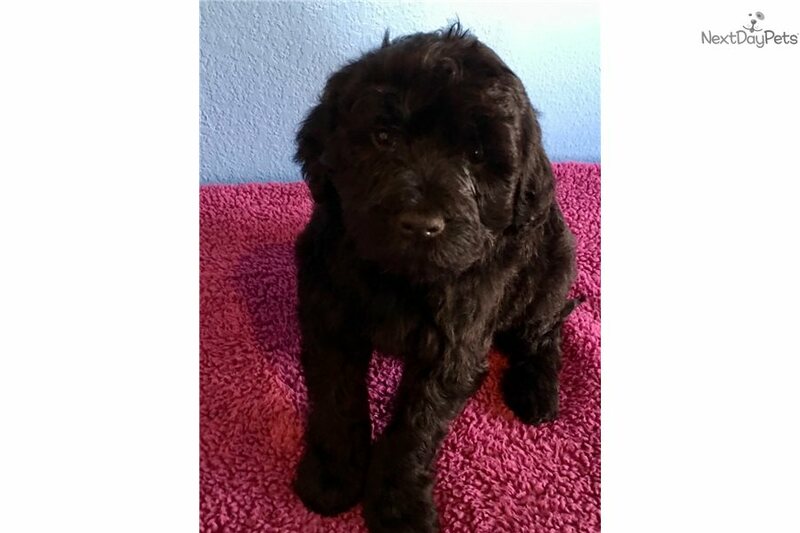 She will come complete with a vet check, AKC Registration, AKC Microchip registration, lifetime health guarantee against genetic diseases, a new crate, and 30 day insurance. Like all of our babies Candy will be crate and leash trained as well as started on potty training. She will be well socialized with other pets and people of all ages and is guaranteed to have a good temperament and disposition. Please email me with any questions or interests in Candy at pier7porties@gmail.com, you may also call/text 417-372-0183. Please leave a voicemail and I will call you back, there are many times I may not have my phone on me or busy.